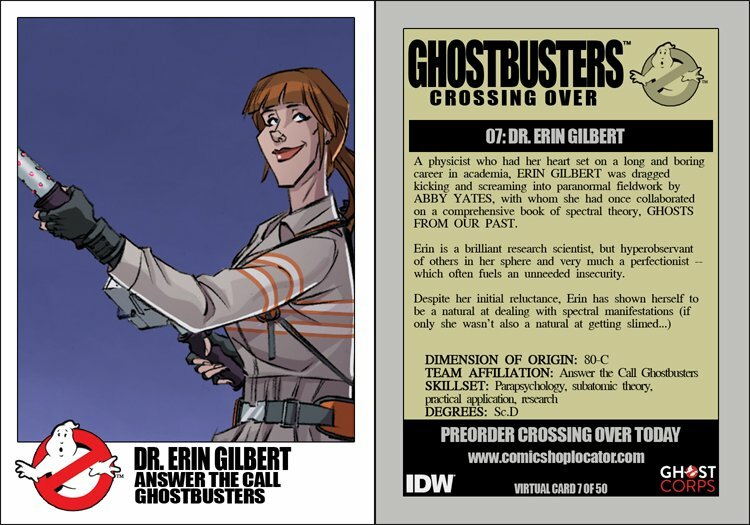 A physicist who had her heart set on a long and boring career in academia, ERIN GILBERT was dragged kicking and screaming into paranormal fieldwork by ABBY YATES, with whom she had once collaborated on a comprehensive book of spectral theory, GHOSTS FROM OUR PAST. Erin is a brilliant research scientist, but hyperobservant of others in her sphere and very much a perfectionist -- which often fuels an unneeded insecurity. Despite her initial reluctance, Erin has shown herself to be a natural at dealing with spectral manifestations (if only she wasn't also a natural at getting slimed...).